Who wants to be millionaires? Cough up the booty, robot! Who opened the tuna fish? Dickensian twins . . .
their names: Ignorance and Want. Did you mean those two? Give the lotion. Give the hose. 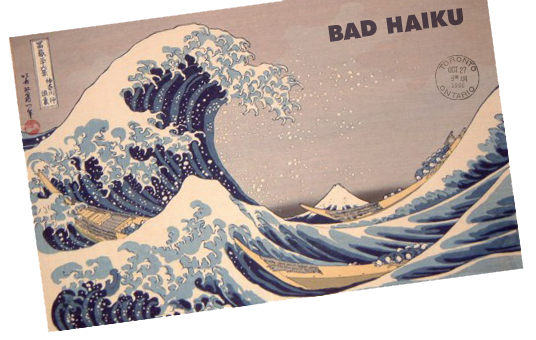 Submit to my bad haiku. Yo it aint like dat . . .
aint like dat at ALL, gnome sain? Temple elixir of bliss . . .
what was I saying ? Get the hell out of my yard. Reeled in an eel. Electric. Lick my assurance of fame. New snowstorms of crystal verse . . .